The cool, flexible ISIRA bracelet is created with semi-precious gemstone beads, a tassel and a clear, solitaire crystal. Available in many different colors. 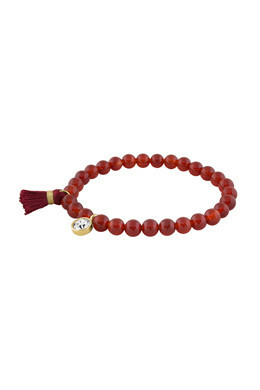 Shown here with red jade stone beads, red tassel and gold toned steel details.